The final two shows of the First State Ballet Theatre’s 2012-13 season – April 13 and 14 at The Grand in Wilmington – were especially important to Alex Buckner. He is a company dancer, but with “A Midsummer Night’s Dream,” he completed his first full-length ballet as choreographer. 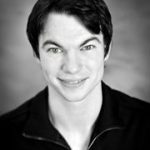 The FSBT’s artistic director, Pasha Kambalov, had asked Buckner if he’d like to choreograph the Shakespearean comedy as the company’s contribution to The Year of the Bard statewide festival of the performing arts. Buckner was eager for the challenge. His early interest in musical theater had led him to study dance, and at 12 he grew serious about ballet. Buckner, a Las Vegas native, studied at the Las Vegas Academy of the Performing Arts and graduated from the Virginia School of the Arts in Lynchburg. He trained and was an apprentice from 2005-09 at the Richmond Ballet, under the tutelage of Stoner Winslet. Buckner in 2010 joined the FSBT, for which he has choreographed several contemporary pieces. In July 2012, he got a taste of the tale that would require so much of his time and energy through this April – Buckner choreographed dances within the Delaware Shakespeare Festival’s production of “A Midsummer Night’s Dream” at Rockwood Mansion Park in Wilmington. Though his artistic options for that performance were necessarily narrower than they would be for the FSBT’s production – he had to choreograph for the festival’s actors rather than for the professional dancers of his own company – Buckner was able to sit and watch the story unfold onstage, which helped him as he figured out how to tell the same story without words. The daily process of choreographing dancers’ every movement, Buckner says, was “kind of like playtime for me.” He’d start a session with ideas that, through trial and error, he would mold into sequences. “I usually try everything myself before I ask them to try anything tricky,” he says of his dancers. The Division’s grant helped him end a stretch of nearly three years without a computer. He now is able to visit www.firststateballet.com for details on future performances.